In days gone by, lye soap was a homemaker’s ultimate all-purpose cleanser. From clothes and stains to dirty dishes and floors — even to poison ivy and bug bites — lye soap was the answer for the family’s daily cleaning needs. Usually made with leftover cooking fats and lye made from wood ashes, townspeople would gather on soap-making days, preparing large batches together. As modern keeper’s of the home, we have the privilege of following in the vintage ways of those before us! By using fats and oils such as lard, tallow, or sustainably-sourced, organic palm, lye soap can again find it’s place as a household staple. The secret to old fashioned lye soap’s cleansing power is in it’s high lye content and lack of exotic oils. We see this benefit mainly in the area of laundry and general household cleaning recipes. While these nourishing and moisturizing all-natural soaps are wonderful for bathing, they have the potential to leave an oily residue on laundry, dishes, and a variety of household surfaces — not the squeaky clean we have become accustomed to with commercially-prepared detergents. The solution is a strong lye soap. And trust me when I say, making a batch of homemade lye soap does not have to be complicated. Making soap at home using traditional ingredients is much easier than you might expect! Allow the lye mixture to stay under a vent and cool down while you prepare the fats/oils. Measure the fats/oils by weight and then place in a crock pot to melt on low heat. Blend until the mixture becomes a thick, pudding like consistency. Prepare your mold. I just use a standard loaf pan lined with parchment paper and it’s always worked perfectly. Remove from mold onto cutting board and cut into bars. Place bars on a tray with good airflow so that they can harden further. But go ahead and feel free use your first bar! Shredded these bars are ready to be used in any of your homemade laundry detergent or homemade dish soap recipes. -This lye soap contains NO excess lye to hurt the skin in anyway…however it may be too drying for daily use. -It’s perfect for super oily skin and wonderful when used to treat poison ivy, poison oak, poison sumac, and/or bug bites. 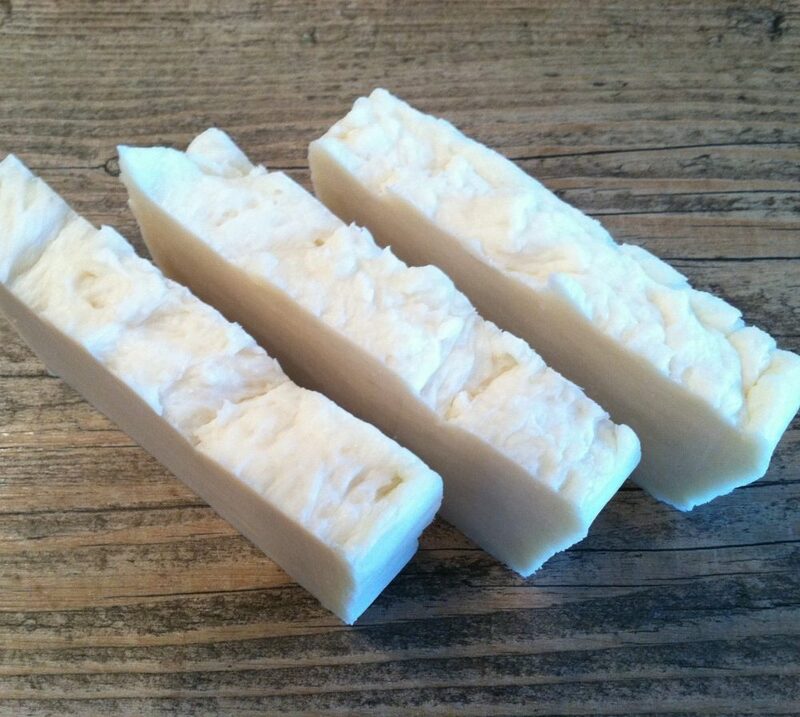 -Tallow, lard, and palm all create low-suds soap, making these bars perfect for use with HE washing machines. -To use as a laundry stain stick simply wet the edge of a bar and rub vigorously directly onto stained clothing. Looking for the raw materials mentioned in this post? The Soap Dish has some of the best prices on soap-making ingredients you can find — not to mention it’s a small family owned business. I also highly recommend Mountain Rose Herbs for high-quality, organic herbs, oils, and essential oils! Ever made your own soap before? Ready to give it a try? I know how dangerous lye is so how does the end product not contain the harmful properties anymore? Because once the kye, fats and water react, they go through a process called ‘saponification’–basically meaning they are no longer 3 separate chemicals, but one called ‘soap’. I wouldn’t ‘lye’ to you, using lye is dangerous, but just use common sense and common safety procedures. Lye is not something to fear, but it should be respected. You just need to use safety precautions such as wearing gloves and protecting your eyes. I have been making soap for about 7 years. At first it was scary, but it really isn’t a big deal now. I haven’tt used store bought soap in years and my skin can tell the difference. Started making liquid laundry soap about 2 years ago (totally different process) and it’s great. There are TONS of resources about soapmaking in addition to the books that Andrea listed (which are all great, btw. I have all three and Cavitch’s books are considered the ‘bible’ of soapmaking). 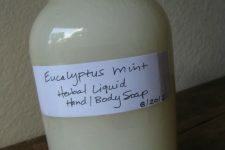 I am on several yahoo soapmaking groups: soap and other obsessions, applesnberries, 1tlcsoaps and soapmaking 101. Also, on youtube, check out soaping 101. The channel is run by Cathy McGinnis. She is phenomenal. There is also an associated Facebook page. The soaps people make are breath taking. You will learn how to make some beautiful creations. Obviously, soapmaking is my passion. It combines art and science. And it’s fun! Wow thanks so much – that was so helpful and has made me feel a lot better. I am definitely going to check out some of the sources you mention and head over to the good ol’ library! Thanks so much for sharing – I can’t wait to try it! I hope you will share your liquid laundry soap recipe! It dissipates. when lye changes oils it reaches its end, so you let it cure, for over a month, sometimes longer for cold recipes, and the lye goes away. For hot methods, you can almost use the same day. I still prefer to let it sit a couple of days. Keep spreading the word!!! 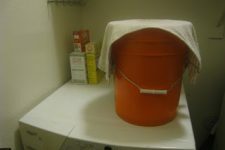 I have been making my own laundry soap for a year and started making lye soap recently. My family members are jumping on the band wagon too and asking for these homemade items. So if anyone is considering trying homemade soap I say take a deep breath and dive in, it is so worth it. Once the soap is made, you are supposed to let it cure for at least a month before using, otherwise it is still caustic. Since this is a hot processed soap, you don’t really have to let it cure; you can use it immediately. Some people do cure hp soap, but since this is a laundry soap it would be okay to use right away. I forgot to say that lard and coconut oil make excellent laundry soaps, too. Hi! I am excited about reading all I can and then making my own ‘batch’ of soap. My granny always lined cupcake tins to pour as molds. This made it easier to handle. Thank you for the information. Oh that’s a GREAT idea Patsy! I personally use silicone cupcake pans for my soaps. I sell my soap and it is so nice to have even size bars basically automatically! If you want to sell or even gift your soap products i would concider silicone molds. they have so many great sizes and shapes and the soap cools faster and pops out all ready to give or sell! I have made my own soap without commercial lye–for the lye I use a half wine barrel placed on concrete blocks so that it’s elevated enough to put a glass container –must be glass—under it-.-Drill a two inch whole as close to the bottom as you can–fill the half wine barrel one third full of straw–place a pail of wood ashes on top of the straw and pour a gallon of hot water over it–place a tarp over the barrel and make sure the glass container is in the correct position to gather the liquid–and wait a few days–You may need to add a little more water–I cook it outside over a wood fire and use 2 parts fat and 1 part liquid lye–heating them each let adding them together–with a lot of stirring with a long wooden paddle! what type of wood did you use to make the ashes? Thanks for letting people know that things like coconut oil can be used. Where does one find lye that is used to make the soap? What causes the oil substance to become soap-like instead of it becoming oily? It is really good to see people advocating the old fashioned soap making practices. I would, however, be wary of suggesting the use of palm oil though, even if organically grown, as palm oil raises all manner of sustainability issues. Palm Oil is responsible for a significant amount of deforestation in Borneo and Sumatra, which has repercussions for local people, biodiversity and CO2 sequestration. Whilst a Roundtable on Sustainable Palm Oil has been set up it has yet to prove its effectiveness. Far better to use tallow or lard as these are often waste products in the meat industry these days as modern taste demand lean meat. If meat fats do not appeal, there is always olive oil. So for the people who dont want to use animal fat and use all vegetable oils someone needs to explain that to us.I thought you had to have the lard and didnt realize you could use just the oils mentioned here like coconut etc.I thought those were additives and you had to have the solid lard to have a hard soap. So #1 is a bucket of lard bought as is at the store usable in soap making. 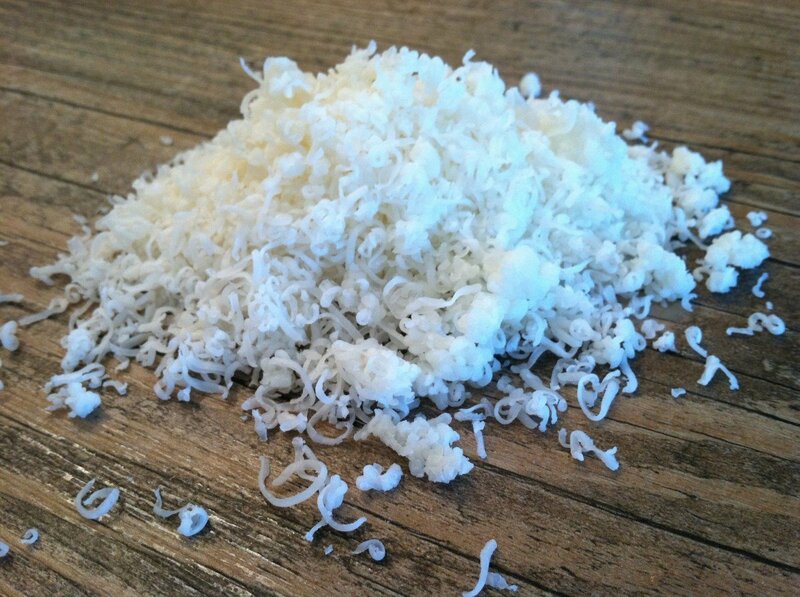 # 2 what is your base if you dont use lard?Are you saying for all vegetable soap the coconut oil is your base? #3 anyone want to share a all vegetable soap recipe?How can you play with it with other oils like grape seed,almond oil etc. This would cover bath soap making. How many pounds of soap does this make? Is there anything else I can use to make bar soap? You can make it – see the post above on making lye. There are many sources for lye online, even though many stores have stopped carrying it. I love Brambleberry for my soap-making supplies. I included a link to the lye, but the site has so much more to explore! Search New Directions Aromatics as well, as I’ve gotten good supplies and service with them, too. This winter I made my first batch of soap using just corn oil, lye and one other item, can’t remember what right now. It wasn’t as scary as I thought it would be. I am looking forward to trying my hand at a more traditional soap. I’m getting quite a collection of soap-making books courtesy of a second-hand store! LOL I have recently started making my own laundry soap (baking soda, washing soda, borax and a bar of Fels-Naptha). I looked at the ingredients of the FN and was dismayed to see what was there. Am very pleased to learn when I make my own soap that I can use a bar of it instead. I really enjoy all the blogs of people enjoying being self-reliant! Can I just use the lard they sell at the grocery store? I don’t use it for cooking because it is hydrogenated, but I don’t really want to go to all the trouble of rendering my own lard just for soap. Yes, you can use grocery store lard. I started with grocery store olive oil until I discovered less expensvie sources. I like to use food grade fats and oils. Although most soap is not on the skin long enough to be absorbed (needs to be 5 min or more, as I understand) I just feel better. Another reason to make your own soap is the nasty history of the fats and oils that get used in the cosmetic process. I like food grade, thank you! I have made my first batch of soap and it will be “cured” in a week’s time, cannot wait to try it! Thanks for all the tips. I was watching a VERY large scale soap making day and everyone including the very experienced soap maker have a question. After skimming the soap off the top there is a dark brown extremely toxic liquid left over. What is that called? That brown liquid is mostly water, glycerol and some excess lye. All these being colorless the brown color is from various organic compounds from the lard (or whatever was used as a substitue of it). The liquid probably contains a fair ammount of table salt as well, because it is used to help forming the two distinct layers of soap and water/glycerol. I made some tallow based soap the other day. That is the fat I used is sold as frying fat supossedly made from cow fat. The soap turned out well but I suspect the remaining tallow is a bit high. Maybe the fat isn’t what the lye calculators think it is. I didn’t use any scent or other oils, just tallow, lye and water. I had some seperation issues at firt but I was able to mix/heat the mixture back to an emulsion and went to the applesauce stage. Possibly I didn’t cook the soap not quit well enough because the soap smells a bit like tallow and if I desolve some soap into water the water is a bit unclear and a trace of fat eyes is visible on top of the water. I was planing to use some of the soap in a laundry recipe like you have here but I suspect the fatty residu will kill some of potential the washing power. Is there a way to “clean” the soap, riding it from any remaining tallow ? Anyway glad I found this now I can make my own soap instead of the Zote or Fels NBaptha. I have a retro west bend crock pot that i got from a thrift store and I’m wondering if I need to be wary of what it’s made of? I’m excited to try this, but also equally wary of using lye! You probably also want to mention that people do not use any equipment with aluminum. 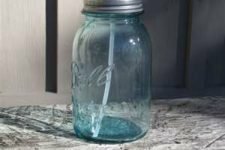 It needs to all be either stainless steel, glass, wood, or sturdy plastic. The NaOH will basically burn a hole through aluminum and also create toxic fumes. Great information for brand new soap makers, though! So I just made soap for the first time. Wow, that was stressful and scary!! I am 6 months pregnant. Is it safe to make soap while pregnant? When i was mixing the lye (outside) it took my breath away!! Also, what would happen if I used too much lye? Would it still be safe to use? I don’t think I did, but just curious. Mine is really thick.. Currently in the slow cooker. I think next time I will make it outside/garage. Please put my mind at ease!! Thank you. If you use to Much lye, it cures and looks like t-rex teeth, or shark teeth.. Wicked.. Did you make it hot method or cold method. Big difference in answer. Hot u can usually use right away, I still wait a couple days, cold has to cure for over a month. Hi. I just made this recipe for soap the other night…. and I’m so happy with the results. I do have a question though… I cut the bars & let them sit out…as well as used a vegetable peeler to take off some of the rough edges of one bar. Almost immediately, I noticed the shavings had a “tallow” smell… and now the cut bars are also having this scent after a few days. I seem to be the only one who smells it. I do want to add that I did cut off a piece & start using it… and it doesn’t smell like anything. Can anyone advise, explain or correct? I’ve never done this before & don’t know what to expect. My main goal was making soap to mix into homemade laundry powder, but it does feel nice on my hands when washing. I’m just not sure what the grated soap will do to a laundry mix. Thanks! Tallow stinks. Period. I only.use veggie oils. Yeah, it was pretty smelly when I was melting it. I wanted to try something less expensive than say, olive oil… just to get the hang of it, in case I screwed something up. It has been several weeks now… and I’m still letting them sit. For a while there, the smell got a lot worse… and as of today, it is just starting to smell like unscented soap. I do have these orange spots here & there… and have researched what that could be, rancid, mixture cooking too hot… etc. Anyway, the bar I have in use is lasting & lasting & doesn’t seem to bother my skin, though I’m not sure I will use it when winter is finally here… as I need something very, very mild…. next up is castile. soap, I think. Can you do castile in hot process? Thanks for your response! Okay… these are not orange spots like the dreaded orange spots variety that I see pictures of. These are kind of thin, sweepy streaks… you really can’t see them as they are really faint. I made this soap with lard. I, like you, can smell the animal fat, but no one else can. Next time I will use coconut oil. I use this soap in my handmade laundry soap and a just a pinch in my dishwasher to clean the dishes; works great! I make soap. I used to do it all the time. Anyhow, I’ve rendered beef fat into tallow, used lard and hated it. The best soaps are veggie oils. The tallow stunk like rendered cow fats, and even when using essential oils the smell was still there of cooked cow smell. And the lard made me itchy. The best soap is castle, it’s got olive oil, Palm and coconut oils. I only use that for skin. I’ve made my own recipes to, and have a favorite from them, that both Me and Customers I’ve sold to. So I don’t use ANY ANIMAL FATS. None. Period. What size crock pot should be used for this recipe? I would like to make homemade laundry soap that a Italian lady gave me it gets grease out of my husbands clothes and I have only two bars left,i wish I had got the recipe she used a copper outside that’s all I rememberand margarine containers to set it in.